We look forward to pampering you, because you are worth it! Call us today! Between work, family, and friends it is hard to find time for yourself. We believe that everyone should have a little bit of “me” time and here at Christine's Boutique & Spa, we are proud to offer the Helena, MT area with a relaxing escape from the daily grind. Set some time aside for yourself and join us in one of our wonderfully relaxing services, because you are worth it! Top to toe, we have you covered. Let us reduce your stress with a massage to fit your busy schedule. Be it a short interlude during your otherwise hectic day or a longer session of massage therapy bliss. Once the weight of responsibly has been worked out of your muscles, why not indulge in one of our many skin care services? 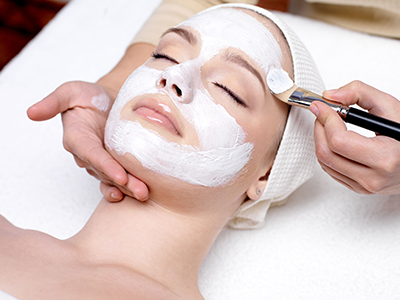 Detox, unwind and come out looking your best after a facial or full body scrub or wrap. Not only do we have your skin and body taken care of, we also offer manicures and pedicures. Let us pamper your hands and feet and leave you feeling refreshed and beautiful! Birthdays, holidays, bridal events and more, our services not only pamper you but also make great gifts, which are sure to leave a lasting impression. Pick from one of our services or make a day of it and bring a friend. We offer packages to fit every lifestyle and desire, or customize your experience to meet your needs. Life is stressful; let us take some of it away. Contact us today to set up your well-deserved time of bliss. You can call for appointments after 5 or contact us via our online form. We look forward to pampering you, because you are worth it!